Exquisite describes Julie Anne San Jose's TIMEbassadors Collection 5th Edition. The oval dial, floral motif and the rose bezel encrusted with rhinestones make this timepiece hard to resist! 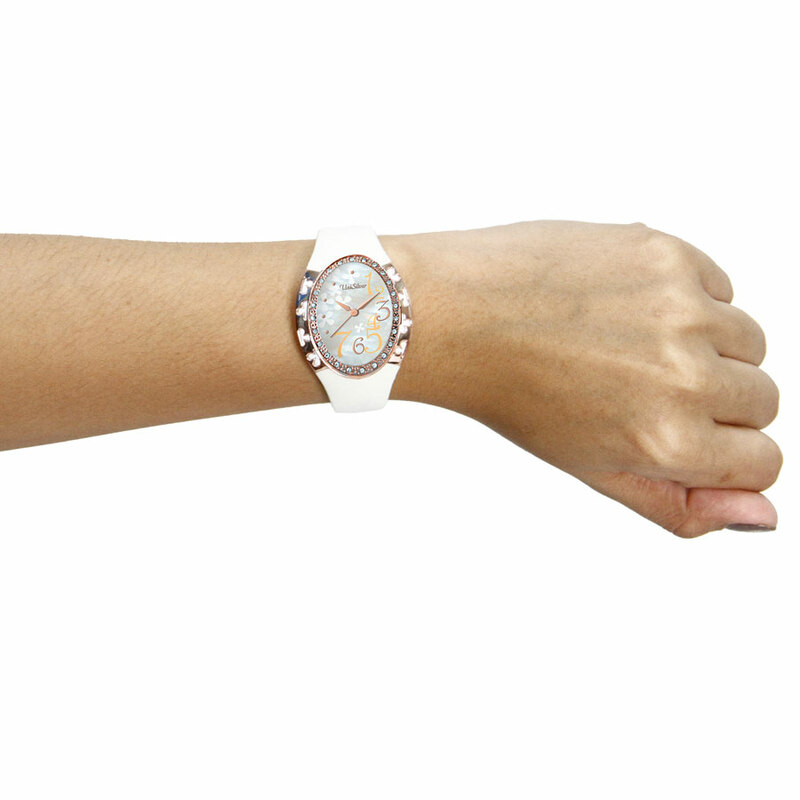 Accessorize your outfits and dresses with this dreamy watch.